Beat your competitors for daily shares of the €35,000 prize pool! Everybody, and especially us slotting enthusiasts, love a proper tournament where we compete against our fellow slotters to make it to the top of the leader board and earn our bragging rights as well as getting our hands on some serious prize money. 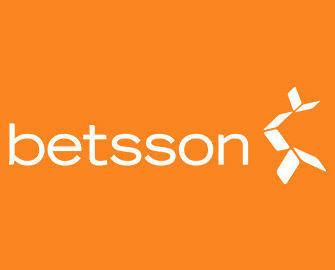 This week at Betsson will give us ample chances to do just that. Seven daily tournaments on exciting slots with a €5,000 prize pool each. And that’s not all, everyone taking part in at least one of the competitions will get 10 Free Spins on a mystery game on Monday. 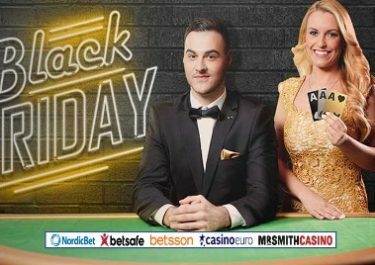 Players from Finland, Germany, Iceland, Netherlands, Norway, Peru, Sweden and Switzerland – brace yourself for a week of action, fun and huge prizes at Betsson. Take part in seven daily tournaments until Sunday to secure your share of the massive remaining €30,000 prize pool as Monday’s event is already completed. The TOP100 of each daily tournament will share the €5,000 prize pool in cash and bonuses. Each tournament runs from 00:01 – 23:59 CET with prizes credited the following day, except for Friday, Saturday and Sunday winners who will have their prizes added on Monday. Minimum 100 spins have to be played on the selected slots to qualify for any prize. Score 50 – 300 points for selected winning combinations as outlined in the points chart on the promotion page. Each tournament is taking place on selected games with defined minimum bets. Score the highest single coin win on one spin to place in the TOP100 for your share of the prize pool. Each tournament is taking place on selected games with defined minimum bets. Proper wager race with a leader board for the TOP100. Prizes will be paid out on Friday and Monday. Each tournament is taking place on selected games with defined minimum bets. The daily €5,000 pot in cash and bonuses prizes will be shared by the TOP100 for each tournament. Cash prizes have no wagering requirement, bonus prizes need to be wagered 25x within three days. Extra Free Spins Prizes: 10 Free Spins will be credited on a mystery game on Monday, 17th July 2017, to all players who managed to complete at least 1 tournament throughout the promotion period – played at least 100 round on Monday, Thursday and Saturday or collected at least 1 feature according to the point chart on Tuesday and Sunday or ended in first 500 positions on Wednesday and Friday. FS winnings have a 35x wagering requirement within one day.